The Federal Reserve on Wednesday solidified a remarkable dovish policy U-turn that cannot be properly justified by the outlook for the U.S. economy. Instead, the central bank’s decision to scale back its projected interest rate hikes this year could also reflect a combination of concerns about the international environment and financial market volatility, along with a desire to buy some insurance for the economy and minimize criticism from the White House. The exact mix will matter a great deal down the road, given that the Fed opted this week to sacrifice policy flexibility for 2019 in favor of giving bullish investors exactly what they desired. Three months ago, the Fed was still signaling several rate hikes this year. At the conclusion of its two-day policy meeting Wednesday, it slashed that forecast to none and announced what many would have regarded as an unusually early end to the removal of exceptional liquidity. Moreover, the end of balance-sheet reduction in September will include a glide path with a declining rate of runoff. This also was a stunning change from the central bank’s policy guidance as late as last December when it suggested an “autopilot approach” involving no change to the pace of balance-sheet reduction and a resting point well below where the balance sheet will be in September. The reaction of financial asset prices reflected the view that the Fed gave markets the policy guidance that the most optimistic bulls had hoped for, but few believed that the central bank would deliver so quickly. And it’s not as if, in the run-up to this week’s Fed meeting, markets hadn’t already priced in a very accommodating monetary policy, with stocks up 12 percent for the year, yields lower, and volatility in the markets for U.S. Treasuries at a historic low. Immediately after the announcement, stocks surged, more than erasing earlier losses, and the yield on the 10-year bond fell to 2.53 percent. In addition to the immediate positive reaction by asset prices — though it was later reversed as competing considerations surfaced at Chair Jerome Powell’s news conference — markets did what they inevitably do: They pressed for more by pricing in an interest rate cut at the end of the year. Historically, a dramatic U-turn in Fed policy like the one solidified on Wednesday would have been prompted by a significant worsening in the economy and its outlook, and/or major financial market dysfunction, particularly given the extent to which the central bank is sacrificing short-term policy optionality. Yet neither factor is at work here. Indeed, Powell went out of his way to be positive about the U.S. outlook, repeating several times that the economy is in “a good place” and stating that the underlying growth fundamentals are very “favorable.” If anything, his comments highlighted the inherent contradictions facing the Fed in a world of divergent growth paths for advanced countries, and of large non-bank leverage, as well as corporate and household debt. 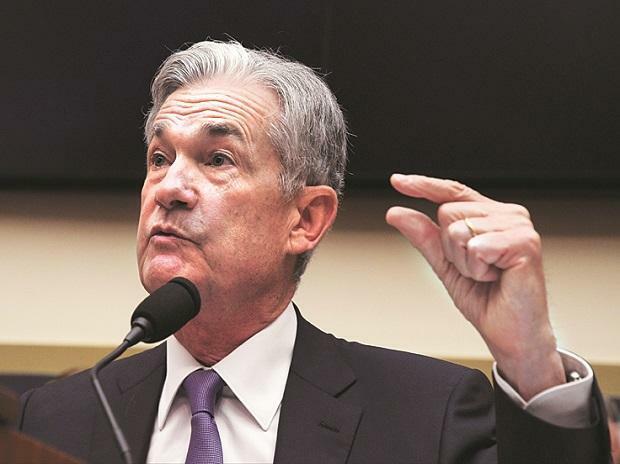 A weaker international environment could be one of the factors warranting the more dovish Fed policy stance, even though the central bank has historically been hesitant to acknowledge policy sensitivity to economic slowdowns outside the U.S., and Powell said he doesn’t see Europe falling into a recession this year. Already this week, some corporate earnings releases — particularly FedEx’s — indicated a greater impact from international slowing than the companies had expected. Three other issues could have also played a role in the Fed’s choice of policy guidance that is more dovish than the U.S. economic outlook would justify. One is concern about the return of the type of market volatility of the fourth quarter of 2018 that could adversely contaminate economic activity. A second may be a desire to provide greater insurance for markets against uncertainties associated with the China-U.S. trade negotiations, Brexit and other factors well beyond the influence of the Fed. The Fed may also have been motivated by a desire to minimize the likelihood of renewed political attacks. We are unlikely to know with any certainty the relative importance of these three factors in driving the historic policy U-turn. Yet they will have a role in determining whether the Fed’s judgment ends up being correct or whether it erred toward being too loose, too early. Specifically, the greater the role played by these concerns, the greater the threat of financial and economic instability down the road, and the higher the risks associated with the Fed’s decision to give up its policy optionality so early in 2019.